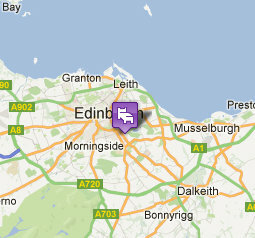 We hope the following pages will give you a flavour of our Guest House, its accommodation and The City Of Edinburgh. The resident proprietors, Richard and Maki and their staff will be happy to help you with arrangements, whether you are on holiday or business. The Dorstan Guest House offers you every comfort and convenience. We are a beautiful Victorian family villa in the City of Edinburgh located in a quiet residential area but close to the Old Town, Edinburgh Castle and all main attractions. We also have a lovely front garden for guests and a private car park.